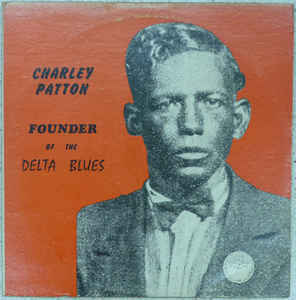 So little is really known about Charley Patton that people have had to fill in the gaps with belief, rumour and myth. The date of his birth in south Mississippi can only be located somewhere between 1881 and 1891 (although consensus is forming around the latter), and it seems the man who raised him and whose name he took was not his natural father. And even his first name is problematic: it is most always written Charley although he preferred Charlie. We know he died in 1934, although for a long time many chose to believe his throat had been cut by a woman. 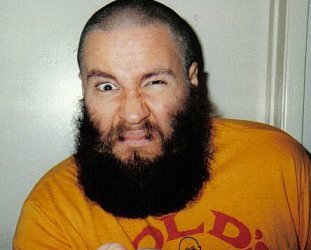 In fact he died in his bed in Indianola, Mississippi – not far from where he grew up – with his final common-wife, Bertha Lee, probably from an infection. 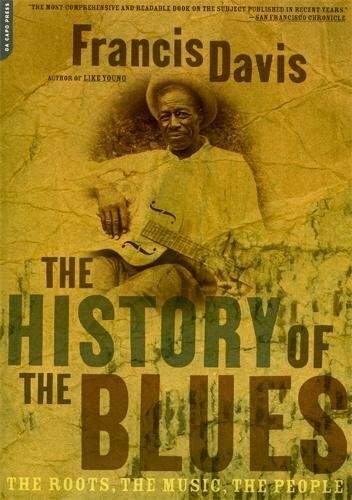 As Francis Davis notes in his excellent 1995 book The History of the Blues: The Roots, The Music, The People from Charley Patton to Robert Cray, his death certificate listed him as a “farmer” and that was very far from the truth too. He was largely itinerant and arguably not even a “bluesman” as we understand the term today because he also sang ballads, country songs, some popular material and spirituals. Davis also notes that Patton's songs really offers us no real clues to him either: “His lyrics were observational rather than autobiographical. In the two-part High Water Everywhere for example, we learn more about the havoc wreaked by the Great Flood of 1927 than we do about the singer”. In 1930 he sang Dry Well Blues about a local drought. 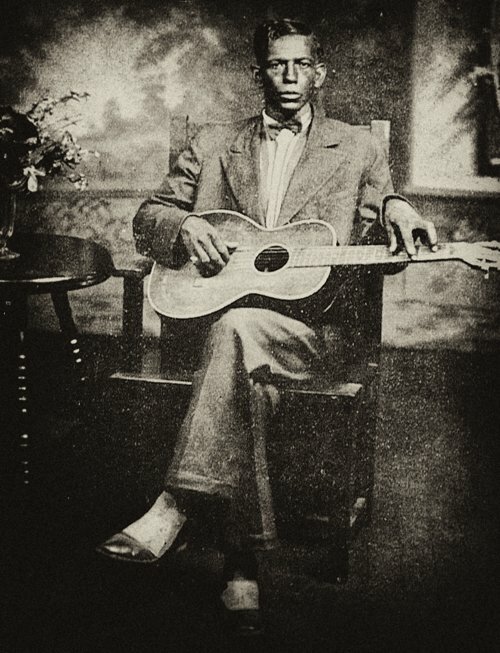 That there is only one identifiable photo of Charley Patton – as with many such singers he was too itinerant to sit still for a photo which took time and was of not much use to him anyway – means that people tend to read into it things which might not be there. Does he look hungover? Crazy? Menacing? Bored? That image is like a palimpsest onto which anyone can write their impressions of him, then it is wiped clean for another record theirs. And his complexion meant that he looked dark to white people and light to blacks. Howlin' Wolf said he looked like a Puerto Rican. What his peers said of him was that he was frequently drunk and a sexual braggart who could sometimes, perhaps even often, be physically cruel to his many partners. Many didn't rate him as a musician either. Was that envy or simply noting Patton's unusual style of playing suggest his limitations? 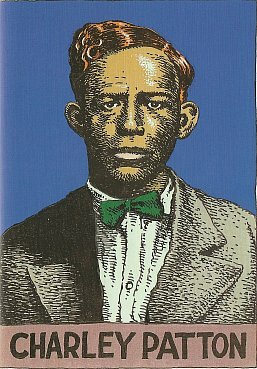 So despite diligent research into his life, Charley Patton the man seems to have slipped away from us and only his music remains. His recordings began in 1929 in Richmond, Indiana – 14 songs in one day – and then he cut another 22 sides later in Wisconsin. He recorded again the following year – with Son House and Willie Brown – and his final sessions, 25 songs, some with Bertha Lee singing, came just months before his death. Most of those first recordings were released at the time to considerable success which is perhaps why he was so influential on other musicians, his bottleneck slide style and dark growl almost a template for what became known as the Delta blues. But only a scattering of his later sessions when he was in changed and weaker voice, perhaps from the throat cut which didn't kill him, were released to little success. It was the Depression and buying a record was a luxury few blacks, his audience, could afford – and because of their commercial failure it appears the unreleased ones were destroyed. There were no surviving masters of his earliest recordings either so when people did eventually rediscover him he came through the crackle and hiss of scratched 78s. Digital technology has allowed him to come through with more clarity these days. 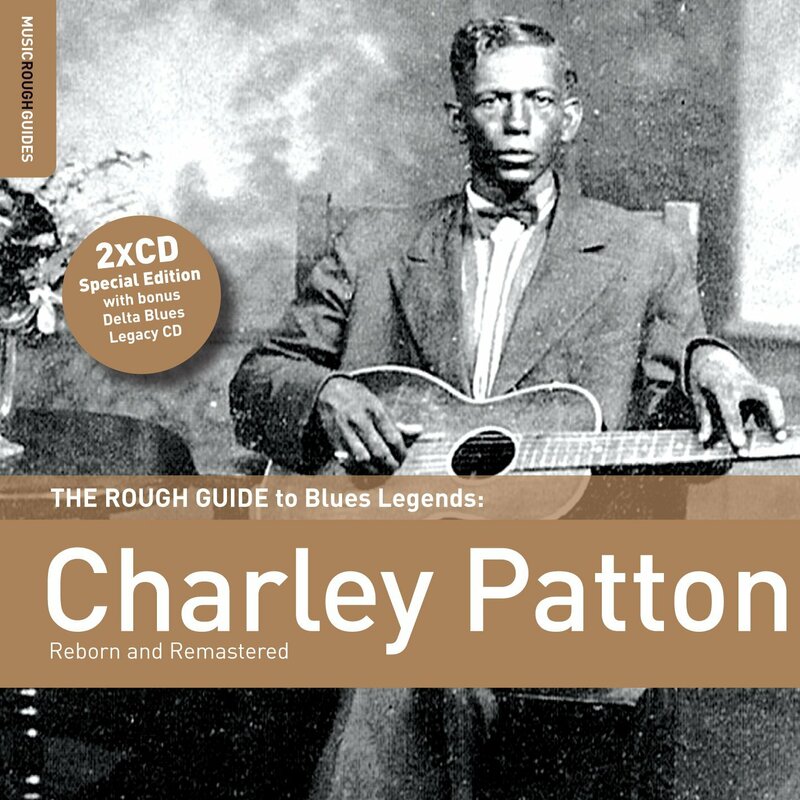 There is a useful 22 song, 2012 single disc Rough Guide to Blues Legends: Charley Patton (on Rough Guide through Southbound in New Zealand). It also came with an additional disc of other Delta blues artists like Son House, Willie Brown, Howlin' Wolf, Muddy Waters and those where Patton's influence is evident. There is also an excellent, 28 song double vinyl set Charley Patton, Founder of the Delta Blues on Yazoo (again through Southbound). Patton was there at the start of the blues and as he travelled around the Delta and beyond (Arkansas, Louisiana, Memphis, regularly to Chicago) he picked up songs and styles (from Henry Sloan whom he admired, Willie Brown who he travelled with) and some of his originals were adopted and adapted by Robert Johnson who seems to have observed Patton at close quarters. Patton's Screamin' and Hollerin' the Blues, Down the Dirt Road Blues and Tom Rushen Blues made their way into Johnson's If I Had Possession Over Judgement Day, Crossroad Blues and From Four Till Late respectively according to Davis. Back then songs, chords and lyrics were passed around and they evolved, were changed, adopted and adapted to suit different circumstances events or life events. Of course, Patton also took from other sources too: His seminal High Water Everywhere about the 1927 flood was a rearrangement of a song called Maggie, his Tom Rushen Blues owed a debut to Ma Rainey's Booze'n'Blues and so on. But wherever he got his songs or ideas from, Patton hammered them into his own shape where he stretched his vocals and guitar across what we might call bar lines, had spoken asides thrown in, had the occasional salacious lyric (Pony Blues about riding his “black pony”) and created his idiosyncratic vocal style (which sometimes has abrupt stops as in Heart Like Railroad Steel). He was documentarian on High Water Everywhere, a kind of Delta griot on Revenue Man Blues and on High Sherrif Blues where he appears to acknowledge his heroic alcohol intake (which turned him mean by many accounts), a fearful spiritual man on Jesus is a Dying Bed Maker but more confident about the outcome on Prayer of Death (both 1929). And ready for the inevitable on Oh Death (among his last recordings with Bertha Lee who is a strong singer in her own right). But because Patton was more observational than autobiographical as Davis says, it can be too easy to infer that these songs are quite that personal. He remains elusive. He also sang country-folk (Mississippi Boweavil Blues) and it now accepted he sang some sacred songs under the name Elder JJ Hadley. You can hear him approaching the pulpit on the two-part Prayer of Death. But, acknowledging Davis again, you are in no doubt that you are hearing a remarkable performer. Half a century before Hendrix he used to play behind his head, behind his back and between his legs which lead some to dismiss him as gimmicky. But the two-part High Water Everywhere is all the evidence you need of his ability to perform a song, especially the second, slower part. Or 34 Blues, or Screamin' and Hollerin' the Blues, Or Mean Black Moan. Or . . . 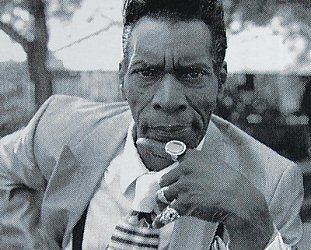 The sheer visceral power of his delivery is extraordinary and you can hear how he influenced Howlin' Wolf, a man with a much more powerful physique. And his music can be so relentlessly rhythmic it drives the songs. But it is Patton's voice you are gripped by. It can be astonishingly intense, so much so that when you look at that sole photo taken when he was perhaps in his Thirties – he stood just 5ft 5 inches and weighed about 135 pounds – it's hard to believe such a sound could come from that small frame. They say it could carry for 500 yards without amplification. It has certainly carried for 80 or so years. Even if we don't know much about Charley Patton, he comes through clear . . . and loud. 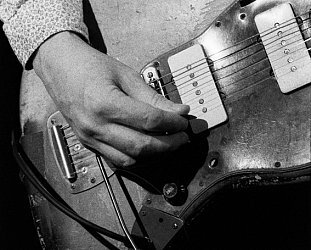 GUEST PHOTOGRAPHER JONATHAN GANLEY shoots Thurston Moore. Again.